Hello ~ This is the first time I have ever vectored and colored a picture in such a large scale and in complete HQ and "textless" stage :D It is certainly harder than what I normally do. [which is just coloring for a few panels ^^;] However, it is certainly worthy it and I like the final result. Anyhow, this is a splash from CH. 196, when I laid my eyes on it the first time, I absolutely LOVE it! XD And just want to color it. However, as you can see despite the scan size is rather large but the overall quality is .... well, rather low. ^^;;; And so, I made a rather reckless decision which is vector the whole splash out from scratch and as well tried my best to make it textless along the way! Most frustrating part = black outlining especially for the cloak. AND PLEASE VIEW IT IN FULL SIZE, I hope that you will enjoy and fav it! ETA: I have some people who asked me why I decide to choose such a darkness surrounded background. 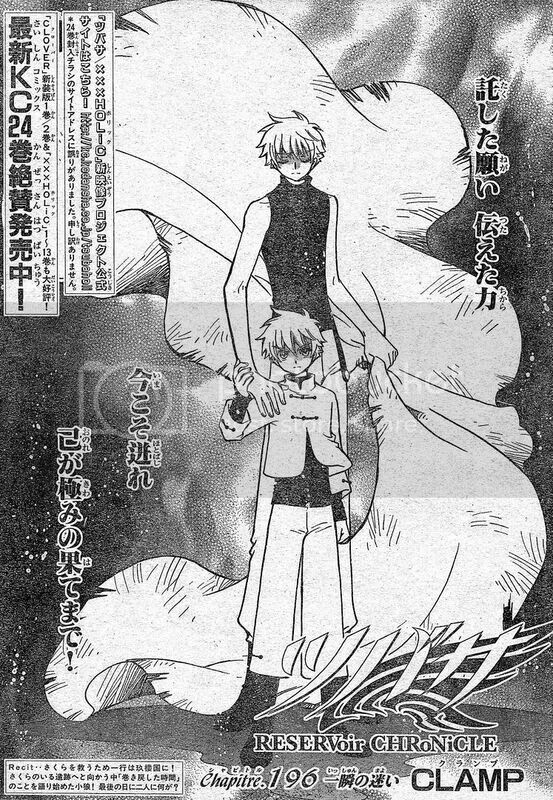 As the title of this piece "The promise to protect", this splash have the image of "young" Syaoran and the "grown-up" Syaoran side-by-side. 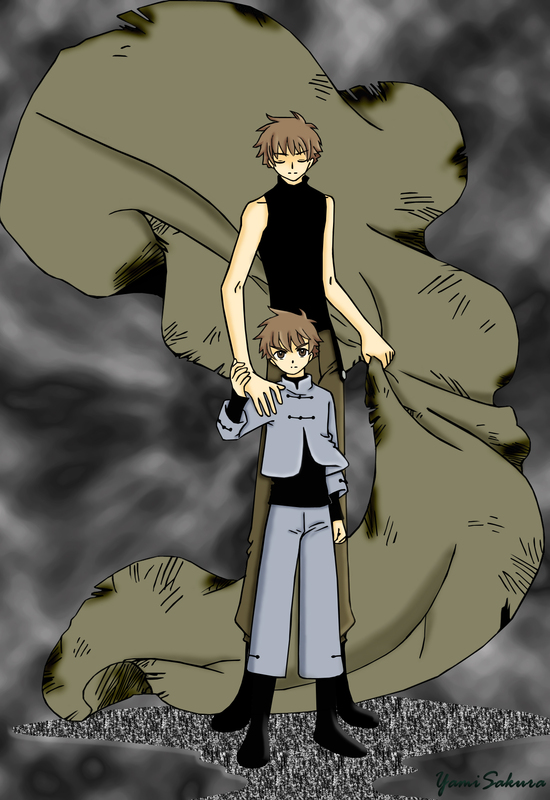 It is symbolizing that "young" Syaoran have made the wish with Yuuko to return back to Clow Country in which the price in exchange for that is "since it is a one-way trip, you may never see your father, your mother, or any other people from your own world who care for you ever again". The decision he made to leave his "current" happiness he has for the sake of "the promise to protect Sakura". wow with all of your hardworlk it's looks really good. you should be proud of myself. i eally like it. good job. wow...that's so awesome! good job! I liked the original splash, but now that you vectored it, I LOVE IT! You did a great job with it and I thanks you for it! It's funny, I started to color this exact picture. 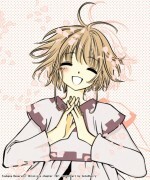 XD Maybe I won't finish it now that you've done a wonderful job with it....^___^ amazing job! I love the little Syaoran's blue clothes.